Frankfurt more than just an airport! The sixth biggest city in Germany, Frankfurt on Main (Frankfurt am Main) has gained enormous economic power - both within Germany and abroad - thanks to its position as a key transport hub and its status as a major venue for international trade fairs and other business events. Located in the centre of Europe, the city is the financial heart not only of Germany but also of the European Union, pumping formerly Deutschmarks and now Euros into the world economy. Frankfurt's long and successful history of commerce stemmed initially from its central geographical location on the Main River and was cemented by the Imperial inauguration of a fair as early as 1240. 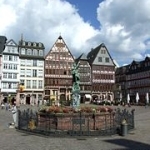 Its substantial political prestige is based on a fortunate history of decisive events: In 1356, Frankfurt became the election city for future monarchs; in 1372, it was declared a Free Imperial City, answerable only to the Kaiser; and from 1562, the coronations of German emperors were held in the city's Cathedral of St Bartholomew. The Frankfurt Börse (Stock Exchange) began trading in 1585. If Frankfurt's political aspirations were dashed by the choice of Bonn as capital of the Federal Republic in 1945, the city has directed its post-war energies all the more whole-heartedly into its uncontested financial role. The modern skyscrapers of banks and corporations in the central business district are potent symbols of Frankfurt's economic strength and create a skyline that is more North American than European. 'Bankfurt' or 'Mainhattan'is home to some of the tallest buildings in Europe, which have replaced parts of the old city destroyed by Allied bombers at the end of World War II. However, examples of pre-war Frankfurt can still be experienced in the reconstructed buildings on the Römerberg, including the cathedral and the Römer - Frankfurt's city hall since 1405. Recently, building work seems to dominate the city's views as construction sites are raised all over Frankfurt. Projects include the renovation of the Zeil (Frankfurt's main shopping street) and the erection of two new city quarters (one behind the fairgrounds and one on the area of the freight station), which should be finished in three to four years. Trade has given the city a cosmopolitan, multi-cultural flair - 28.5% of the 650,000-strong population are non-German, representing 170 different countries and a variety of religions. Until the pogroms of the Nazi era, a large and dynamic Jewish community contributed to the city's success. 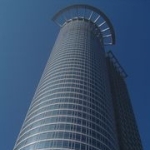 Many of Frankfurt's 12 million annual visitors come for one of the numerous trade fairs, exhibitions and congresses. Among the largest on the international circuit are the International Book Fair, the IAA (International Automotive Show) and the Spring and Autumn Consumer Goods Shows. But Frankfurt - to the surprise of many - has got another side to reveal to its focused business visitors. As the birthplace of Germany's most revered writer, Johann Wolfgang von Goethe (1749-1832), the city is at pains to impress with its cultural pedigree. Excellent museums, high-calibre performance groups, local festivals and beautiful surrounding countryside should entice the discerning guest away from the boardroom and the exhibition hall. The city's climate is generally mild and well balanced. Warm and occasionally wet days in summer, with temperatures sometimes reaching 30°C (90°F), compliment the chilly winter days, with temperatures ranging between - 10°C (14°F) and 10°C (40°F).